Written by McCreery, busbee and Frank Rogers, “See You Tonight” is the lead single and title track of McCreery’s latest album. McCreery’s See You Tonight Tour continues through the end of summer and will cross the country making stops in more than 50 U.S. markets. 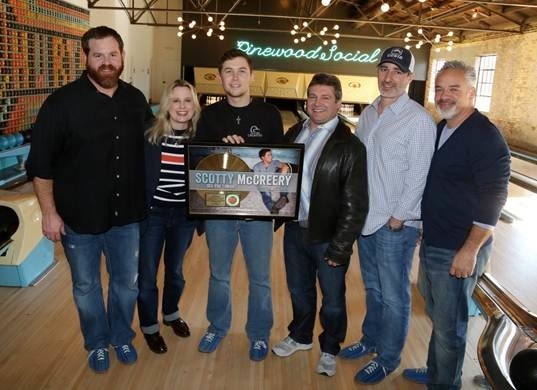 Pictured (L-R): Royce Risser – UMG SVP Promotion, Cindy Mabe – UMG SVP Marketing, Scotty McCreery, Tom Becci – UMG SVP & COO, Brian Wright – SVP A&R, Damon Moberly – VP Promotion, Mercury Records. Photo Credit: Alan Poizner. 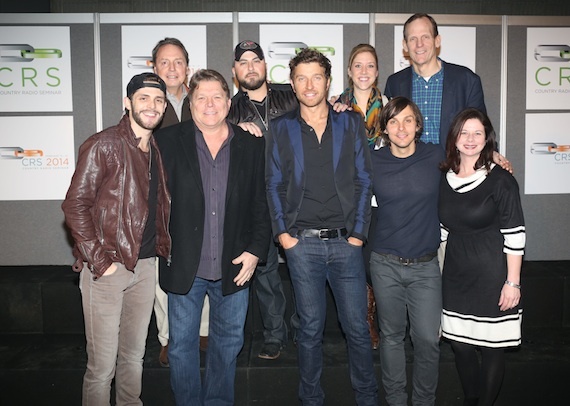 Nashville hosted the 2014 Country Radio Seminar last week and BMI continued their support of the seminar that connects the country music industry with country radio. On Friday, Feb. 21, BMI teamed up with Warner Music Nashville and presented their BMI Legends Session with iconic songwriter John Oates of Hall & Oates. Pictured (L-R): CRB’s Charlie Morgan; CRB Board Member Mike Culotta, BMI’s Dan Spears; Warner Music Nashville’s John Esposito; John Oates; BMI’s Jessica Frost; XM Sirius’ Charlie Monk; and Clear Channel Media’s Clay Hunnicut. Photo by Rick Diamond. 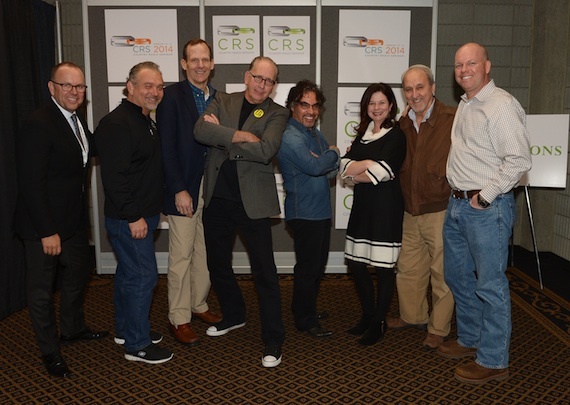 BMI attends the CRS New Faces show in support of their rising superstars.